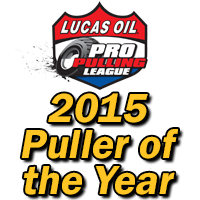 Fully Loaded takes the win for the second year in a row at Goshen, Indiana Pro Pulling League Event! July 27, 2017 the Fully Loaded Team travelled to the Elkhart County 4H Fair in Goshen, Indiana. Last year, the team took first place after being test hook and then having a sled reset. We dropped to last place and came down the track and won the event in 2016! This year was a little different. We were the third tractor to pull. After a fresh rebuild from some excessive heat issues in the cylinders from our last event at Henry Illinois, the team made some adjustments to the motor and fuel system. Concerned we may have gone too conservative, we started our run down the track at Goshen. We were lucky and successful enough to take first place again! Another podium finish for the Fully Loaded Team! With another podium finish we interviewed with Leslie Mears, and the Lucas Oil Production crew as this event was recorded and will be aired at a later date on MavTV as well as other networks. Always great time interviewing with Leslie..you just never know what will be said on and off the camera!!! The team left Goshen, Indiana that evening for the Friday night Pro Pulling Event in Evansville, Indiana in search for another win! Stayed tuned for more and see how the team ended up at Friday night’s show!